We’ve grown a lot since publishing our first 20-page pamphlet to Europe in 1960, but over the decades and 75 titles later, our witty, candid guides are still researched and written entirely by students on shoestring budgets who know that train strikes, stolen luggage, food poisoning, and marriage proposals are all part of a day’s work. In short, we write for readers who know that there’s more to travel than tour buses. So, you want to go to Europe? But how could you not? There’s something awfully romantic about spending midnight in Paris, watching the lights shine on the famed La Seine. There’s something special about hearing the growls and grunts of cars on the vias and around the piazzas of Rome. There’s something magical about walking on the streets of London in front of Buckingham Palace as the roads close down for the iconic Changing of the Guard. Europe―rich with history, culture, art, and adventure― is the ultimate destination for any backpacker from any background. For all the hullabaloo around this small piece of land attached to Asia, the fairytale-like legends that you hear from old men in the park, friends, and parents are, for most part, true stories. Well, maybe all except for that one time Uncle Marty claimed he found an old manuscript of Ulysses on a Dublin pub crawl. Pub crawls and pretentious reading material aside, Europe awaits you. Paraglide in the mountains of Gimmelwald, shimmy your way into the most exclusive clubs of Berlin, or scuba dive between two tectonic plates in Iceland. When in Dubrovnik, find love on Lokrum Island and, in Athens, find your Adonis or Aphrodite. Get blown away by the beat of the Pamplona’s Running of the Bulls and cheer on European sports teams in Munich’s beer gardens. Europe has been, and will continue to be, the starting point for the adventures of students all around the world. Join the company of your fellow wanderlust-stricken adventure seekers and set your trip apart from the rest. Ready, set, Let’s Go! 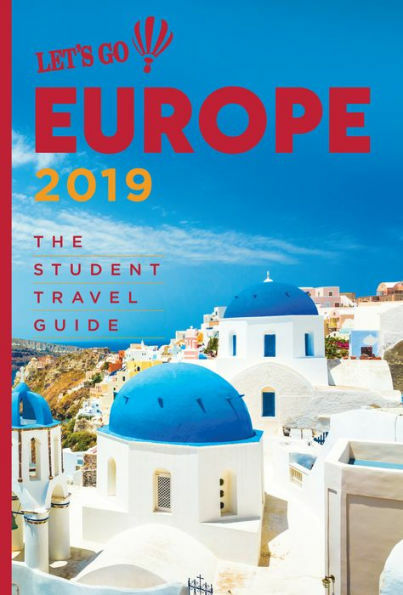 Let's Go Budget Guides are for travelers who want to spend less but have more fun, students with more time than money, and anyone who appreciates a good deal. Our guides are written by Harvard student researchers. And who better than a starving student to figure out how to stretch a budget—and discover what's free and fun along the way? These slim, easy-to-carry books are packed with dollar-saving information to help you make every penny count and also include neighborhood maps to help you get oriented, plus eight pages' worth of color photos to whet your appetite for sightseeing. From how to get discount tickets for museums, performances, and public transportation to where to find cheap eats and affordable accommodations, Let's Go Budget Guides have got you covered—and it's small enough to fit in your back pocket.